After a few months of marching in the beginning of World War I, the Allied countries and the Central powers had found themselves facing each other across massive lines of fortifications that stretched across Europe. Three years of bloody attacks had produced terrifying casualties but had failed to end the stalemate. The German government’s decision to return to unrestricted submarine warfare in 1917 forced the United States to abandon its neutrality and enter the war. Dependent on maritime trade for survival, Britain launched an offensive in the Ypres region of Belgium with the U-boat bases on the Belgian coast as the final objective. Convinced that the Germans were on the verge of collapse, Field Marshal Sir Douglas Haig, commander of the British Expeditionary Force (BEF), threw one British army at the German lines, then another, and then the Australian and New Zealand Army Corps (ANZAC). Although the German lines had been pushed back after three months of brutal slaughter, the breakthrough never materialized. In May 1916, Lieutenant Oliver Woodward (Brendan Cowell) takes command of the 1st Australian Tunnelling Company in France. Flashbacks reveal that Woodward was a copper miner, who initially refused to enlist, despite tremendous social pressure. Part of that pressure comes from William Waddel (Gerald Lepkowski), his boss, a sturdy patriot who thinks that the war will be over before Christmas until he learns that his son died at Gallipoli. Although Woodward has fallen in love with Waddell’s daughter Marjorie (Bella Heathcote), who is ten years younger than him, he joins up when the army forms a mining unit. 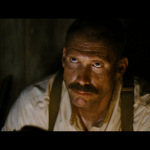 Woodward receives a cold welcome from Corporal Bill Fraser, (Steve Le Marquand), second-in-command of the miners, because he wants to protect his men, and believes that Woodward is dangerously inexperienced. 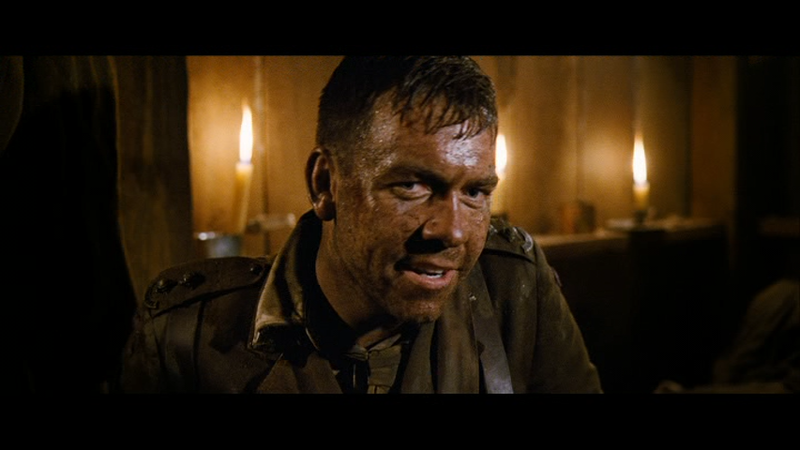 However, he learns to respect Woodward after he leads a patrol to cross No Man’s Land and blow up a key enemy machine-gun post. The success wins Woodward promotion to captain, and they are sent to the dreaded Hill 60 in Messines, Belgium, where Canadian engineers have mined the entire ridge with a million pounds of ammonium nitrate, which is expected to end the war. The tunnels are located below sea level, so it is a constant struggle to prevent flooding in the tunnels. 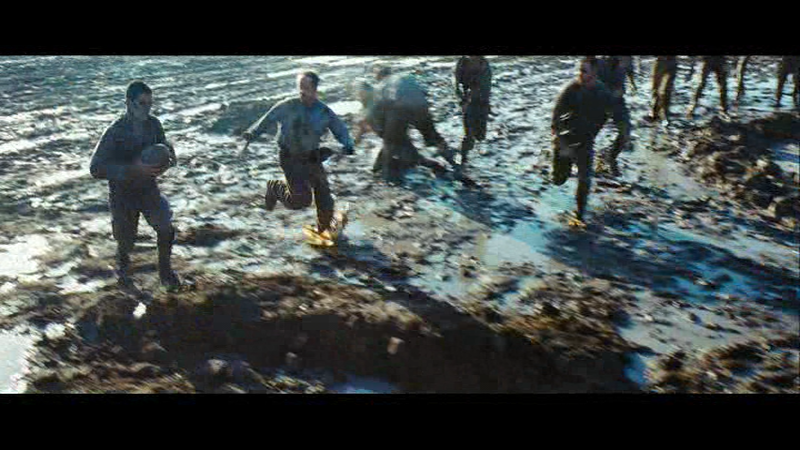 Woodward and his men are assigned to maintain the tunnels and prevent the Germans from discovering the bombs. Beneath Hill 60 examines the fight between miners on both sides to blow up the opposing side’s trenches, a part of WWI that is relatively unknown. The war under No Man’s Land was fought by thousands of German and Allied (mostly British, Canadian and Australian) miners, who had only received a few weeks of military training. 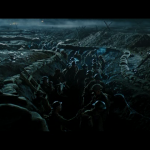 While Jeremy Sims, the director, and pretty much everyone involved in the production expressed deep admiration for the ANZACs, Sims did not want to make a patriotic or nationalistic film, but chose to show that the miners’ war was a struggle to stay sane, not to win the war. Instead of taking sides, the film sympathizes with everyone forced to participate in the horror. Like the Australians, the German miners are scared professionals, who are simply hoping to survive. Even the generals are treated relatively fairly, aside from a stereotypical hidebound British colonel, who is too terrified to actually enter the tunnels, and angrily sends men to their deaths to cover up his embarrassment. The huge Messines explosion was originally planned to take place in 1916, but after the British army took 60,000 casualties in a single day at the Somme on July 1, 1916, the army would not be ready for a major offensive for another year. Several mines were already in place, but the tunnellers spent 1916 digging more mines in order to create a man-made earthquake that would destroy an entire ridge. Relieving the British in the spring of 1916, the Canadian tunnellers completed the mines and installed a million pounds of ammonium nitrate in 21 mines, but the structure threatened to collapse. When the Australians took over, they handled the problem by digging a new shaft using hydraulic jacks. Hoping to distract attention from the deeper mines, the Australians launched counter-mines in the higher galleries to keep the Germans busy and used dummy picks to confuse the Germans into thinking work was being done higher up. Although unaware of the full scale of the British underground offensive, the Germans knew something was going on, so they intensified their attempts to get deeper and find the mines. One of the screen German miners logically comments that they should just move the lines back 100 metres, since there is enough room. The suggestion is ridiculed by his sergeant, who responds that the ground is soaked with German blood, so the generals will never give it up. Actually, the entire underground offensive would have been derailed if the Germans had moved their lines back a couple of hundred meters, but the option was never considered. 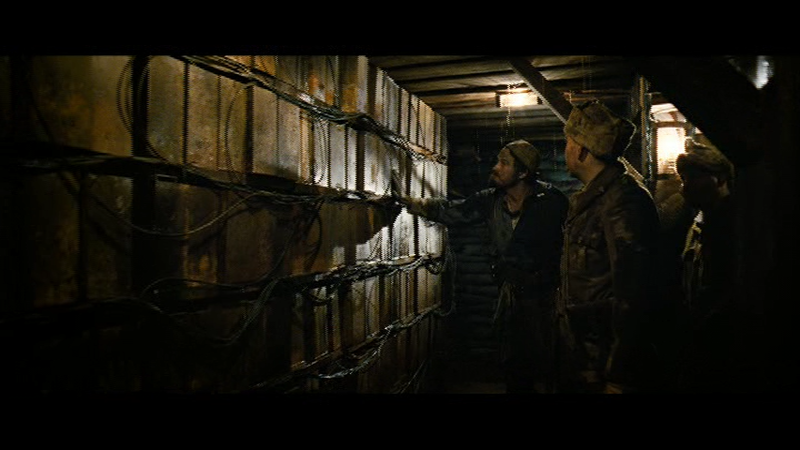 The screen Germans at the listening posts eventually figure out that something is going on, and it becomes a race for the German miners to reach the mines before they are detonated. Although German counter-mines came close, the real tunnellers at Hill 60 calculated that they would not reach the mines in time to stop the explosion, and they were right. The last-minute crisis in the movie was invented to make the climax more exciting than lengthy scenes of officers waiting to turn switches. The detonation of 19 mines on June 7, 1917 produced the largest man-made explosion in history (until then). 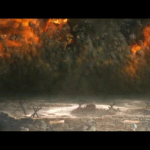 Despite high hopes for a major breakthrough, the explosion did not win the war. The Messines attack worked as planned, but the follow-up attack quickly became bogged down. 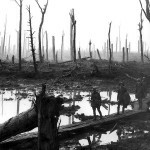 Three bloody, wet months were spent with little gain in the Passchendaele Offensive, and the war lasted another year and a half. Even though some of the mines had been protected for more than a year, only one of the nineteen British mines was destroyed by the Germans, a tribute to the British, Canadians and Australians, and the geology that hampered German efforts. Moreover, the British blockade was slowly starving Germany, so the Germans had never been given the resources to dig deep enough to find the British mines. In fact, 50,000 German miners and officers were sent home in December 1916 to help with mining to produce war materials. It looks like serious research was done. 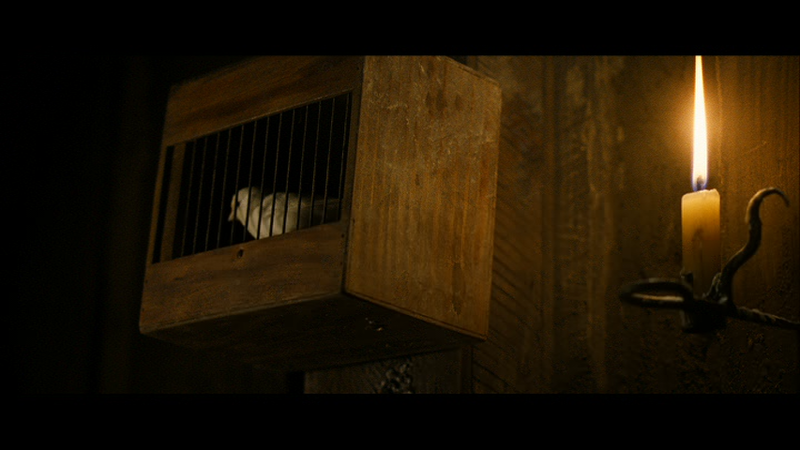 Air is a constant worry throughout the movie. Men are always looking at the candles and the canaries they carry with them. 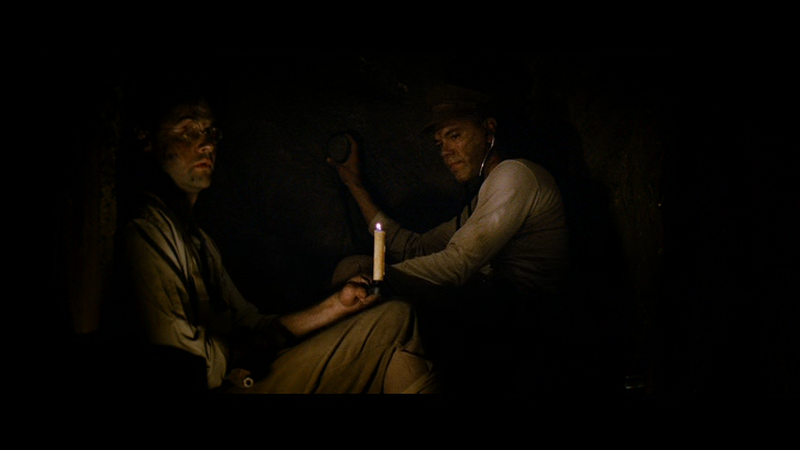 Flickering candles signalled a lack of air while the canaries warned the miners if there was carbon monoxide in the tunnels. Canaries were preferred because canaries fell off their perch, while mice curled up in a corner, which was easy to miss. Oxygen had to be supplied from the surface, and the men monitored the candles carefully, since a brightly burning candle meant there was enough air. Infantrymen were usually assigned to man the air pumps, and they often became bored or tired to the anger of the miners. 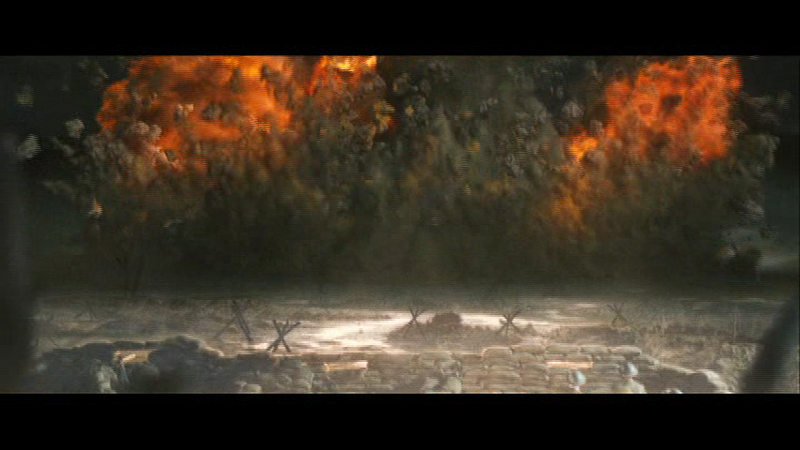 The films has a number of cave-ins and explosions that bury miners. Sometimes they are rescued, sometimes they aren’t. While mining was dangerous, and the risks of cave-ins are not exaggerated, most of the tunnellers’ casualties at Ypres occurred during shift changes. The Germans had ranged their artillery to target the main exit routes out of Ypres. The tunnellers had to walk a mile to get back to camp, and many of the casualties came during that walk. 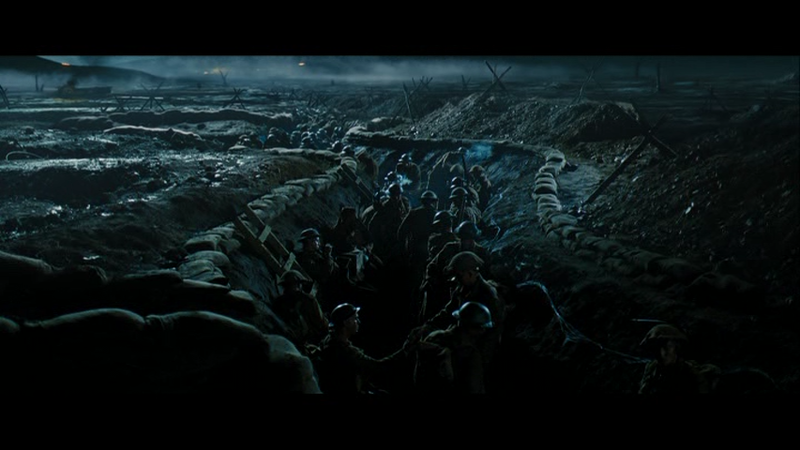 At one point, German soldiers break into a tunnel and there is an unsettling fight in the dark. Tunnellers often unexpectedly broke into each other’s tunnels, so the miners were trained in underground combat, using pistols, sawed-down rifles or knives. Despite training and preparation, fighting in the dark was a terrifying experience. 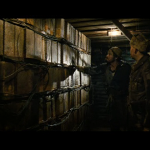 Aside from the constant threat of hand-to-hand combat in dark, cramped quarters, miners on both sides dreaded the other side discovering their tunnel and preparing a counter-mine behind them, which blow them up and trap the survivors there. Once one side had noticed an enemy tunnel, it would be a race to explode it, and a counter-mine could be prepared in ten or fifteen minutes. The stress of maintaining the mines for so long damaged the nerves of the miners. However, the miners did get as much rum as they could drink, which was the only thing that kept them going. In fact, many officers relied on large quantities of rum to deal with the daily pressure. The praiseworthy accuracy reflects the screenwriter’s access to the diaries of the real Captain Woodward. 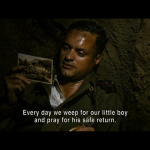 The screenplay largely follows Woodward’s diary, and he is out of his depth for the first part of the film because the real man took time to adapt to the underground war. 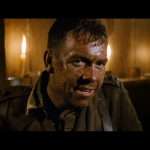 He did lead a patrol to blow up a ruined house that had sheltered enemy snipers, which earned him a promotion to captain and a military cross. 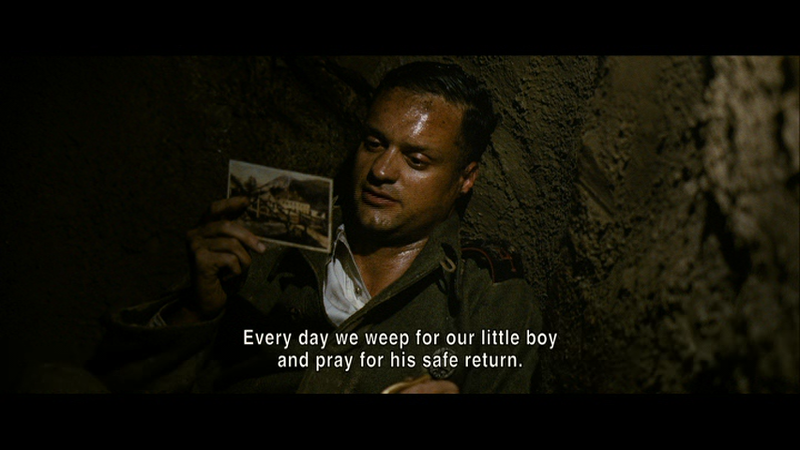 There was a father and son team in the unit, and one of them did die at Hill 60, but several of the other characters are fictional. Even the oak box made in the film from rubble from the Ypres Cathedral that was sent to Marjorie as a souvenir was the real box. Woodward had received a flood of white feathers because he had refused to enlist in the war, preferring to work as a miner for the war effort. While the real Marjorie was seventeen-years-old, twenty-three-year-old Bella Heathcote does a decent impression of a teenager, who is on the verge of becoming a woman but still possesses a love of pranks. Thanks to Caroline at www.allwarmovies.com for introducing this film to me. 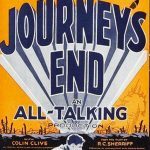 Films set in WWI are the most willing to examine Post Traumatic Stress Disorder, or shellshock, as it was called at the time. The survivors of the unit are shown after the war, and several clearly have trouble coping with their experiences. This is not a film for claustrophobes. Sims understands that battling face-to-face in the dark, far under the ground, is a primal fear, therefore it is always hot, sweaty and badly lit in the labyrinth of tunnels. In fact, Brendan Cowell, who played Woodward, admitted that acting scared was easy since the sets were genuinely claustrophobic. 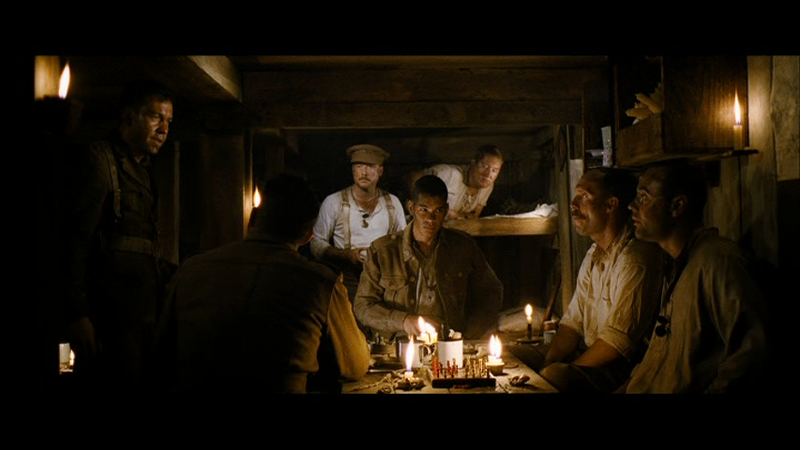 It is the first WWI film I have seen where the Australians and the British get along. 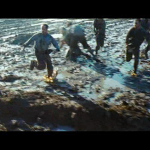 More than a third of the movie consists of flashbacks to Woodward’s life before the war, but they support the story, and give the viewer a break from the relentless dark, danger and mud, although it would not be an Australian movie without a scene of the miners playing rugby in the mud between the shell craters. The lack of melodrama is appreciated and the quiet, resigned courage is awesome. The main weakness is the overbearing soundtrack, which is a throwback to the 1950s. The film keeps the conservative social mores of time, Woodward has to ask the father’s permission to court Marjorie after she insists that she will not wait for him otherwise. The movie was filmed in seven weeks in Townsville, Queensland, a large mining town. Mining companies based in Townsville had funded half of the budget and provided the resources to build sets of trenches and mines, which explains the realistic feel of the sets. Australia has produced an impressive number of WWI films: 40,000 Horsemen (1940), Gallipoli (1981), The Lighthorsemen (1987), this film and the up-coming 34th Battalion. 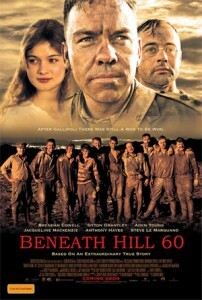 An excellent film that examines a little-known part of WWI, Beneath Hill 60 deserves to be seen by more people. Excellent review. I watched this a while back, but have not gotten around to reviewing it. Australia sure made some good WWI movies. 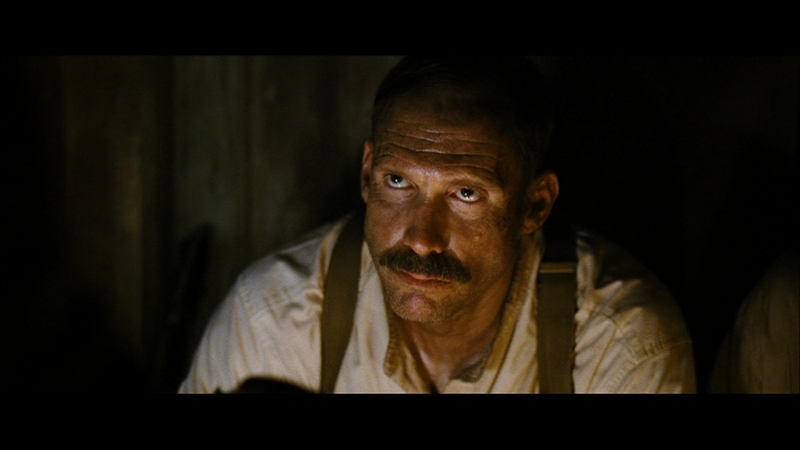 Plus “Breaker Morant”. For some reason, their WWII movies have not been very good. What an insane war! What an insane species! Thanks, as ever I appreciate it. I am looking forward to seeing your take on the movie. No disagreement about the insanity. I have been doing some research on WWI and insanity is the only word to describe it. All wars are horrible, but there is a mass craziness that permitted repeated pointless slaughter.